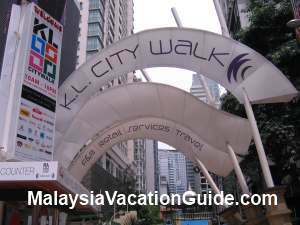 Kuala Lumpur citywalk is the latest tourist attraction which runs parallel to Jalan Pinang. This stretch of newly built facility which used to be monsoon drain stretched about 500m in length and housed over 50 boutique shops. This RM20 million beautification project made use of the extra unused spaces in between the skyscraper buildings. This Walk has many retail shops that operate from 10am to 10pm. WIFI service is available here. Bring along your smart phones or computers and you will have instant internet connectivity. 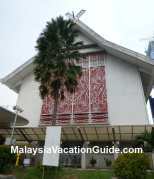 In order to provide better service to the tourists, the Visit KL Concierge has been set up here and operates from 9am to 10pm daily including weekends and public holidays. 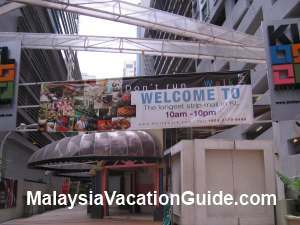 If you are in Kuala Lumpur for the first time, this should be your first stop as there are brochures, maps, vouchers, ticketing facilities, accommodation info, transports info and a host of other relevant information to enable you to make the best of your time here.This centre is located at Jalan P. Ramlee entrance to the walkway. Get some brochures and maps as you move along to explore the city. 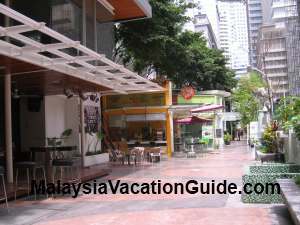 The entrance is about 5-10 minutes walk away from Suria KLCC. If you walk to the end of the Walk, you will be able to continue your walk to Pavilion and the Bukit Bintang shopping centres by using the air-conditioned pedestrian bridge walkway. The entrance to the Citywalk. Take a break from your walk and have a drink here. 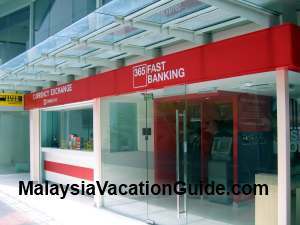 CIMB Bank has an outlet here if you need to withdraw money or do any banking transactions. 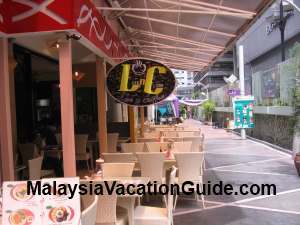 This walkway has many food and beverages outlets for you to enjoy your meals. 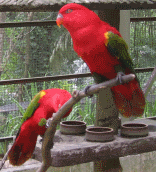 In the daytime, you may want to sit inside the air-conditioned shop instead of outside the walkway as the weather can be quite hot and humid in the daytime. Al fresco dining is more suitable in the evening after sunset. Here are some of the shops and services that are operating here. AirAsia has an outlet here to serve your booking and enquiry needs. CIMB Bank is also here. If you need to send or receive money overseas, take note that CIMB Bank is an agent for Western Union and you can do your transactions here. Karyaneka outlet is the place to get some souvenirs if you have not got any. There are many other food and beverages outlets that serve coffee, snacks and other main meals. Another view of the Kuala Lumpur Citywalk during non-peak time. A banner welcoming you to the Walk. 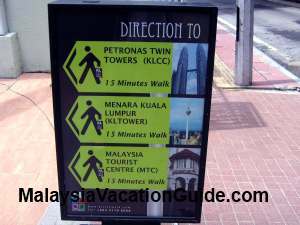 Signages to tell you the duration it takes to go to Petronas Twin Towers, Suria KLCC and Malaysia Tourist Centre. Monday to Sunday: 10:00am to 10:00pm. 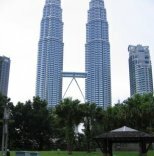 Take the LRT trains and alight at KLCC station. From here, go towards the direction of Jalan P. Ramlee. 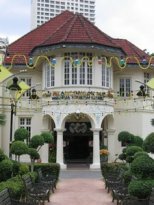 Walk along this road and you will see the entrance opposite Rum Jungle Bar and Restaurant.